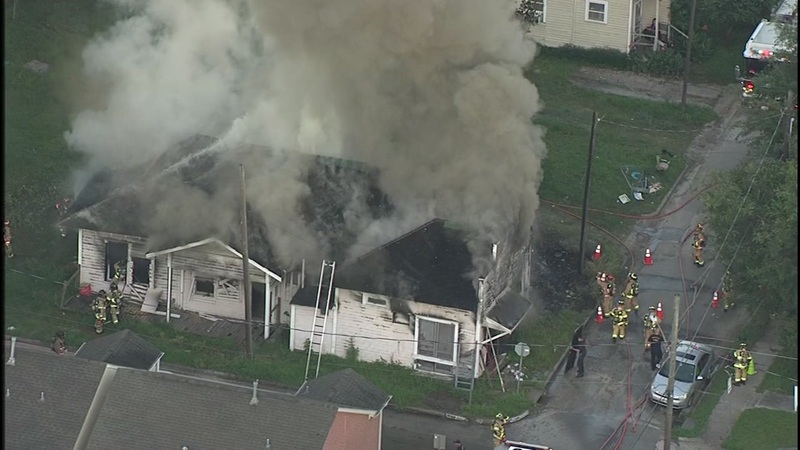 HOUSTON (KTRK) -- A house fire in the Fourth Ward sent heavy plumes of smoke in the air that could be seen for miles. Firefighters arrived to the home around 6:30am on Ruthven Street at Bailey Street. When fire officials arrived, they found heavy smoke and flames pouring from the old wood frame home. The home appears to be abandoned. Witnesses calling into the abc13 newsroom say they saw smoke around downtown Houston as a result of the fire.